Arsenal XI: Cech. Papastathopoulos, Mkhitaryan, Ramsey, Lichtsteiner, Holding, Iwobi, Welbeck, Jenkinson, Guendouzi, Smith Rowe. 89: Can Aubameyang punish Sporting from the free-kick? Nope. He’s belted that high and wide. Really poor effort. 88: RED CARD!!!!! Jeremy Mathieu, the former Barcelona defender, has been sent off for a foul on Pierre-Emerick Aubameyang. He was the last man and the Gabonese international would have been one-on-one with Ribeiro. Referee Gediminas Mazeika doesn’t hesitate. 85: Relentless Arsenal pressure now with 11 green shirts behind the ball. 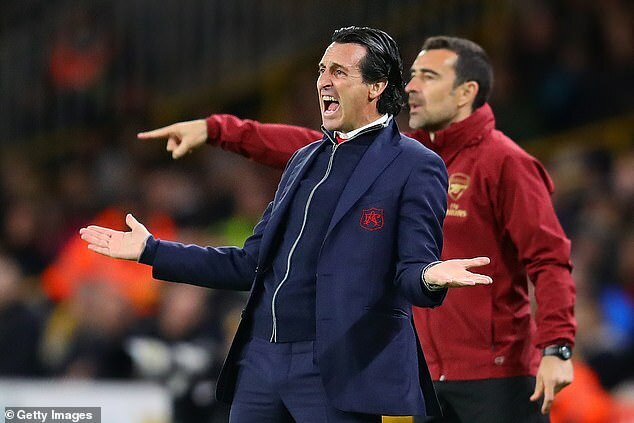 Unai Emery clasps his hands together in frustration as Alex Iwobi pings a cross/shot miles over the crossbar. Cabral replaces Diaby, Petrovic also comes on for Luis. 82: Close! Alex Iwobi somehow manages to deliver a cross from the left when surrounding by three green shirts, and Mkhitaryan quickly diverts it towards goal without any real power. 77: I forgot to mention in those crazy few moments that Miguel Luis became the third Sporting Lisbon player in the referee’s notebook. 74: Lichtsteiner is replaced by Maitland-Niles, who gets a loud cheer. That’s a straight-swap with the 21-year-old heading over to the right-back position. 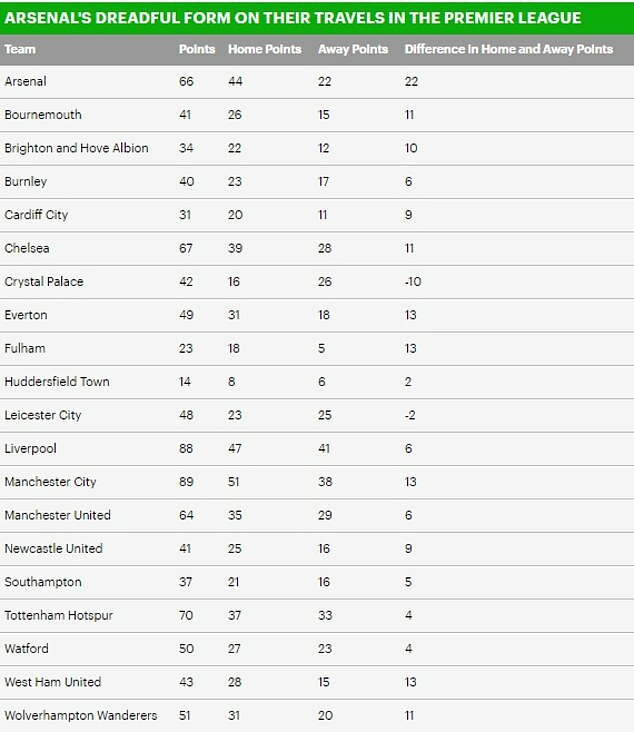 Arsenal have scored in every game since the opening day against Manchester City. They have 16 minutes plus stoppage time to protect that record. 71: Injury! Lichtsteiner has pulled his hamstring. The Swiss defender pulled up abruptly and stayed down. 70: Acuna clips Emile Smith Rowe and is lucky to avoid a second booking in as many minutes. 68: Acuna is booked for protesting the referee’s decision to award Arsenal a corner. He’s probably right but still not worth it. Montero is replaced by Dost, who was one of those players wanting to leave over the summer. 65: Sporting GK Ribeiro clearly loves the cameras with a vastly unnecessary flying punch to clear a cross from the right. Could easily have caught it in my opinion. 63: I’ve no idea why, if recent reports are to be believed, Arsenal would allow Aaron Ramsey to leave for free this summer. He’s pulled the strings in midfield tonight and still looks a force to be reckoned with. 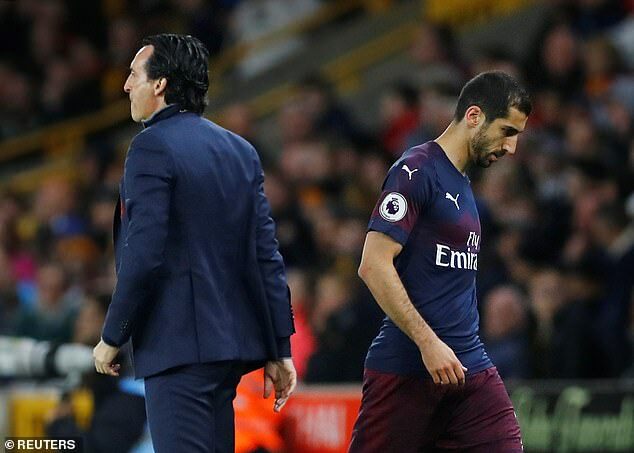 60: I don’t see any point in discussing permutations with Arsenal 99.9% guaranteed to qualify – but a point could be enough for Unai Emery’s side to join Chelsea in the last-32 IF Qarabag can see out their 1-0 advantage over Vorskla. 57: Tidy play from Arsenal as Unai Emery’s side start to shift through the gears. Ramsey spreads it for Smith Rowe, whose angled cross is too strong for Aubameyang to divert. 54: Diaby attempts an audacious acrobatic volley but his effort his blocked by Carl Jenkinson’s arm. Referee turns away. Would have been harsh. Rocketed from point-blank range. 53: We’re being told that Danny Welbeck is being taken to hospital for an X-ray after his horror ankle injury. 51: “Wheyyyyy,” rings around the stadium as Carl Jenkinson completely misses with a volley. Fresh air for the defender on his better right foot. Nothing funnier. 48: Arsenal straight on the front-foot. There’s a nice switch of play with Mkhitaryan firing a low cross over to Pierre-Emerick Aubameyang who fires over with an improvised effort. I notice Auba changed his boots over the break. I don’t know why but that piece of information seems significant when I heard it. 45: We’re back underway folks. Arsenal haven’t made the breakthrough yet — but they are used to being in this position. 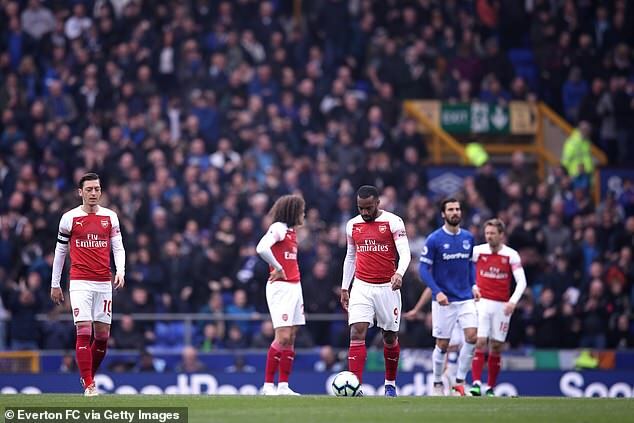 This is the 11th time this season that Arsenal have gone in level at half-time. They have won eight of the previous 10. Uche: Always the innocuous incidents that become serious injuries. 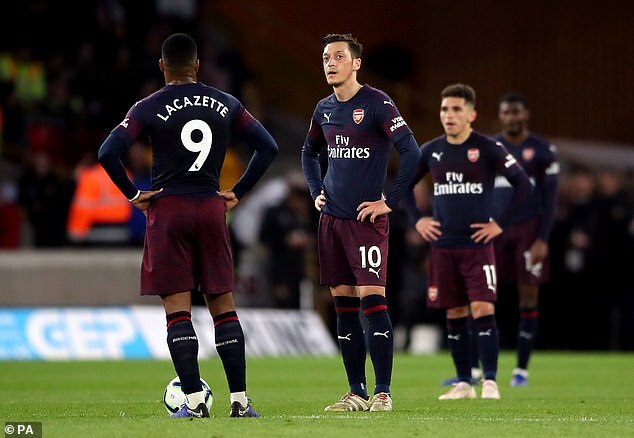 Matteo Guendouzi’s face said it all. Devastating bad luck for Danny Welbeck. Arguably in the best form of his Arsenal career. Out of contract in the summer. That could be the end of his time at the Emirates. Marc: That looked nasty, feel for Danny welbeck, was in good form. With his contract up at the end of the season I hope that wasn’t the last we see of him in an Arsenal shirt. Matthew: Gutted for Danny has been playing well when came on, always a model professional for the team. Will be sorely missed as a big goal threat from bench. HT: That half has been completely overshadowed by the severity of Danny Welbeck’s ankle injury. Just so gutting and saddening for the Arsenal star, who was named in Gareth Southgate’s latest England squad. 45: Henrikh Mkhitaryan crosses but his delivery is desperately poor and alludes everyone before bouncing out of play. 42: Bruno Gaspar brings down Alex Iwobi and collects a booking for his troubles. BT Sport haven’t shown the Danny Welbeck injury incident again but pictures emerging show an ankle injury. We’ll let you know if we hear anymore about the issue. 39: Lichtsteiner scored his first Arsenal goal against Blackpool last week – and he’s got the taste for it now. He lines up a 25-yarder, but that’s troubled the folks high up in the stands. 37: The game has lost fluency since Danny Welbeck was stretchered off. I wouldn’t want to guess at what the injury could be, but It’s certainly doesn’t look good. 35: It always seems to be the innocuous incidents that become serious injuries. Devastatingly bad luck for Danny Welbeck. Arguably in the best form of his Arsenal career. 32: Aubameyang has scored four goals in three substitute appearances for Arsenal this season. I suspect he’ll add to that record tonight. 30: Well that looks absolutely horrible for Danny Welbeck. He’s got his leg strapped up and oxygen mask applied as he is stretchered off the field. He’s given a standing-ovation as Pierre-Emerick Aubameyang replaces him. 27: The medical team are still on the field attending to Danny Welbeck. It looks a serious injury with oxygen being brought on for the international forward. 25: You can’t knock Danny Welbeck’s bravery. He’s just flown in to try and connect with Stephan Lichtsteiner’s cross but falls awkwardly instead. The Arsenal striker stays down with the referee calling the stretcher onto the field. Worrying sight. 22: Henrikh Mkhitaryan fizzes a good delivery in but Danny Welbeck can’t make a good connection and his glancing header drifts wide. Not the greatest watch thus far – but comfortably better than Chelsea’s earlier display. Nani rolls around like he’s been shot and Stephan Lichtsteiner is booked for the late lunge. 19: Off the line! Arsenal are inches from taking the lead when Mathieu pokes Lichtsteiner’s low, teasing cross towards goal but Coates, who I just insulted, was there to clear off the line. 18: For a side who lost quite a few players – Sporting have recovered well. You’ll remember that Sporting’s training ground was attacked by a group of angry supporters after the club failed to seal Champions League qualification at the end of last season. That led to a host of players terminating their contracts, citing “just cause” following the incident as the likes of Rui Patricio and William Carvalho led the mass departures. 15: Nearly. Henrikh Mkhitaryan floats a ball over to Danny Welbeck in the middle, but former Liverpool and Sunderland… star? clears the danger. 13: Abdoulaye Diaby sprints down the right and sends a cross over to Nani, but Stephan Lichtsteiner reads it and clears. 11: Celtic have taken the lead after 11 minutes against RB Leipzig. Kieran Tierney rifles in a low shot that keeps Brendan Rodgers’ European hopes alive. Just. 8: This Henrikh Mkhitaryan and Emile Smith Rowe could be profitable. The quick-thinking pair just exchanged a few nice passes just outside the Sporting penalty area before the teenager’s low cross was blocked. 5: Nani in the thick of it already. He’s just caught Matteo Guendouzi snoozing in Arsenal territory and pinched it off him before seeing his low strike blocked by Rob Holding. 3: This starting XI really does show Arsenal’s strength in depth. Even with nine changes it looks pretty strong, experienced and more than capable of winning here tonight. Aaron Ramsey and Stephan Lichtsteiner combine to knock Nani off his feet. He wins the free-kick. 1: Evening all, sorry I’ve extraordinarily late to the build-up party – but I’m right on time for the match itself having just sat through Chelsea’s diabolical 1-0 victory over BATE Borisov. Fingers crossed Unai Emery’s Arsenal can save my Thursday night! We’re underway. 18:30: Hello everyone and welcome to our LIVE coverage of the Europa League. Arsenal host Sporting Lisbon knowing a draw could prove enough to seal progression into the last 32 of the Europa League. Unai Emery’s side took control of Group E with a win in Portugal a fortnight ago but Sporting will be seeking revenge as they also look to continue in the competition. Arsenal XI: Cech, Papastathopoulos, Mkhitaryan, Ramsey, Lichtsteiner, Holding, Iwobi, Welbeck, Jenkinson, Guendouzi, Smith Rowe. Unai Emery is expected to make a number of changes for Arsenal’s Europa League meeting with Sporting Lisbon on Thursday night. The Gunners head coach has shuffled his pack in the competition so far this season and Nacho Monreal could return following a hamstring injury. 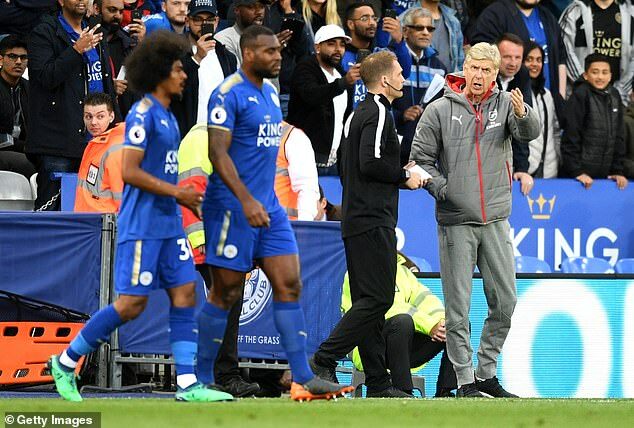 Mohamed Elneny (thigh) and Konstantinos Mavropanos (groin) are still missing while Petr Cech may start in goal with the likes of Danny Welbeck and Ainsley Maitland-Niles pushing for rare outings. Arsenal provisional squad: Leno, Cech, Martinez, Jenkinson, Bellerin, Lichtsteiner, Holding, Mustafi, Papastathopoulos, Monreal, Kolasinac, Maitland-Niles, Xhaka, Torreira, Ramsey, Smith Rowe, Iwobi, Mkhitaryan, Ozil, Welbeck, Lacazette, Aubameyang.